Many people may mistake modern and contemporary furniture. To define them, modern design was popular from the late 1800s to mid-1900s and was influenced by the modern art movement. This furniture style also follows a particular set of stylistic rules. Contemporary furniture, however, involves current styles and whatever is happening now. While modern style is set in its design, contemporary style is constantly evolving. Sustainability – Modern furniture was made during a time when sustainability wasn’t a concern, but now having sustainable items is a current trend. Climate change and deforestation are issues that many people have on their minds, and because of this, consumers are looking for furniture items that come from responsible businesses who use sustainable materials. 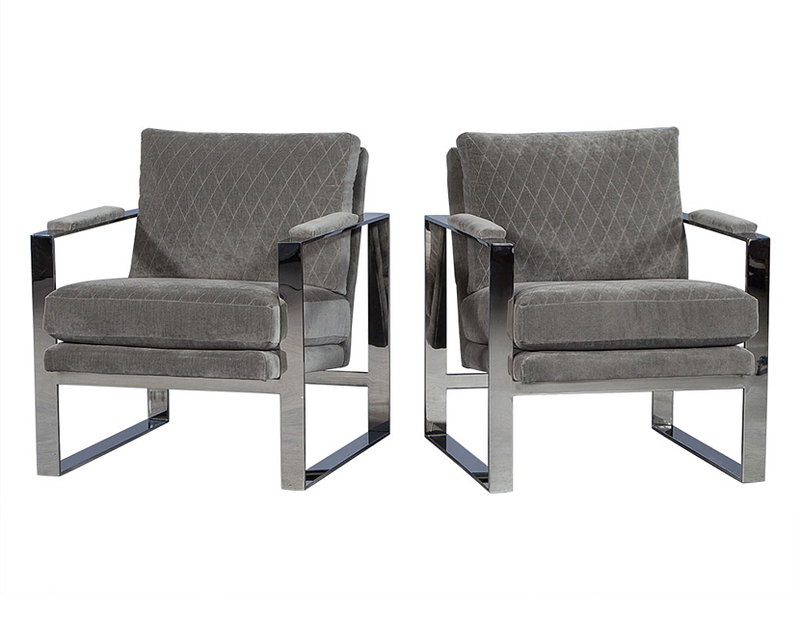 Clean Lines and Comfortability – Furniture that follows the contemporary style has soft edges and clean, simple lines. The fabric used to upholster generally is a solid colour or has subtle patterns, and upholstered pieces are low to the ground. Chair legs and arms are simple, and generally square or round in shape. Cabinets and dressers have simple handles, wooden doors, and hinges that aren’t visible. Carrocel has a variety of Contemporary furniture available. Our 20,000 square foot showroom, located at 245 Bridgeland Avenue in Toronto, has many displays available to browse. We invite you to come and see our quality pieces in person. For a more in-depth selection, please view our online catalogue. Light grey velvet with a diamond-shaped stitched pattern. Crafted from flamed mahogany in a starburst pattern. Pedestal base made of gilt wood. Can be custom ordered in different finishes and fabrics.